Mole and worm lizards are strange, mainly subterranean reptiles that look a lot like earthworms. They have elongated bodies that appear to be segmented. Worm lizards have no legs and even move like earthworms. Mole lizards have small forelegs but no hind legs. 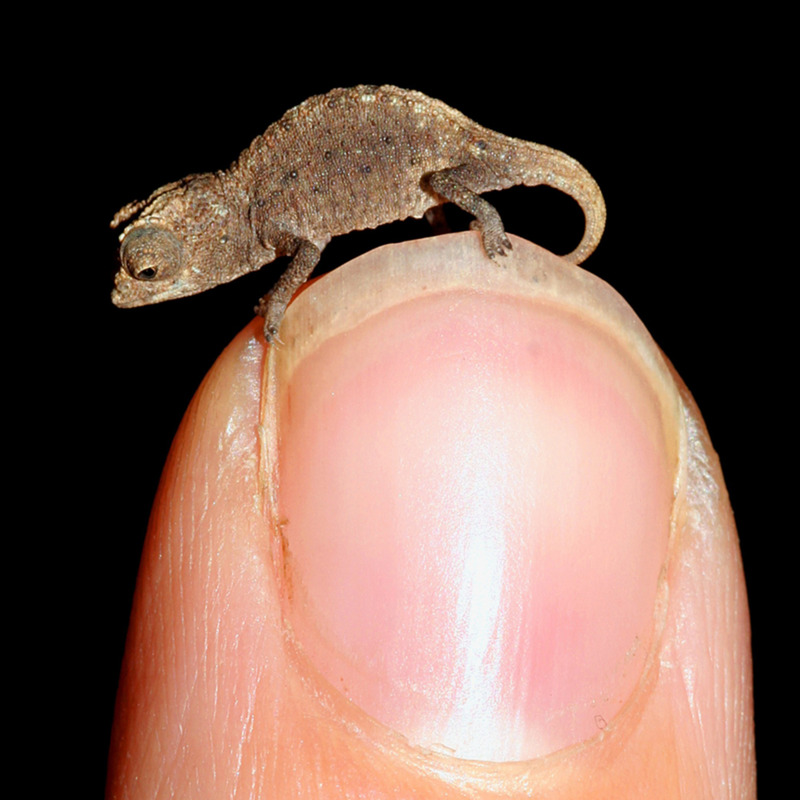 Both types of reptiles have tiny eyes. They live in burrows, which they dig themselves, and are primarily carnivorous. Mole and worm lizards are vertebrates, unlike earthworms. They belong to the class Reptilia and the order Squamata. This order also contains snakes and lizards. Despite their names, however, mole and worms lizards are technically amphisbaenians instead of lizards. They are unusual reptiles with unique characteristics and belong to different families from other members of the order Squamata. The amphisbaenia was a mythological creature in Ancient Greek culture that had a head at each end of its body. In its earliest form it was snake-like and venomous. Real-life amphisbaenians aren't venomous. Mole lizards belong to the family Bipedidae in the order Squamata. There are three species (or four, according to some scientists), all belonging to the genus Bipes and living in Mexico. They are the only amphisbaenians with legs. Two examples are Bipes canaliculatus, or the four-toed mole lizard, and Bipes biporus, or the Mexican mole lizard. Although at first glance a mole lizard appears to have rings like those of an earthworm, if we look closely we can see that the rings consist of scales instead of smooth skin. The rings are known as annuli, as in earthworms. Mole and worm lizards have a backbone and their internal organs are more advanced than those of an earthworm. Unlike the case in an earthworm, the internal structure of an amphisbaenian isn't segmented. A mole lizard's front legs are small, but they are well developed. X-rays show vestigial back legs under the skin. 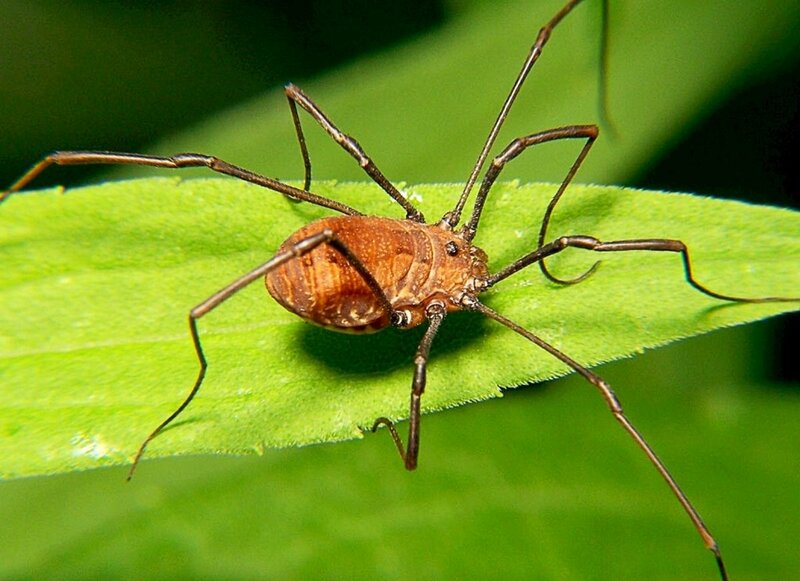 The toes on the front legs have claws. The legs shovel through the sand or soil of the animal's habitat as a burrow is built, acting like the legs of a mole. This behaviour gives the animal its name. It's a carnivore and feeds on insect larvae, ants, termites, other underground insects, and earthworms. Amphisbaenians are intriguing animals that are often hard to study because they live mainly underground. In addition, worm lizards are small in size, which makes their features difficult to examine. There is still much that is unknown about the animals. The Mexican mole lizard is native to Baja California in Mexico. It's very similar to the four-toed mole lizard shown in the videos above. It has five toes on each foot, however, and is pale pink in colour instead of pale blue. The animal can be seen in the opening screen of the video below. The mole lizard can be seen in the second half of the video. Some people describe the Mexican mole lizard as being "cute" or "adorable", which are unusual descriptions for a reptile. The small legs, the blunt-tipped head with tiny eyes, and the somewhat awkward movements of the legs on land do give the animal a slightly babyish appearance, as can be seen in the first video of the four-toed mole lizard. The Mexican mole lizard lacks surface pigment that would protect it from the sun's rays, but this doesn't hurt it. It lives underground and generally comes to the surface only during the night or when the soil is very wet on a dull day. 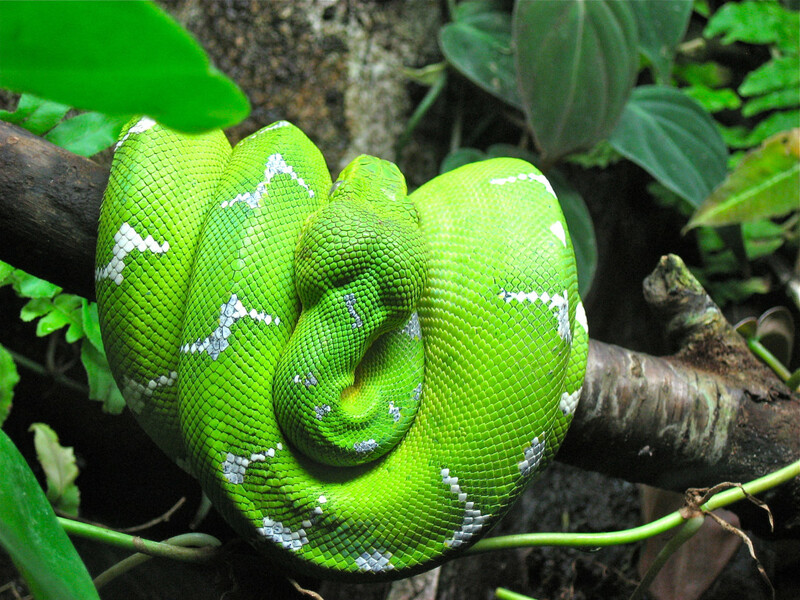 The female produces one to four eggs in summer, which hatch after about two months. There are approximately 169 species of amphisbaenian, contained within 24 well-established genera. The position of these genera at the family-level, however, has been the subject of scientific debate. Worm lizards are placed in three or four different families in the order Squamata. The number depends on the classifier's point of view. At first it's very tempting to think that the animals are earthworms due to the rings around their body and the fact that the rings bunch up and then spread apart as the animals move, just as they do in earthworms. The surprising appearance of a forked tongue flicking in and out of its mouth tells us that a worm lizard is really a reptile, however. The internal anatomy of worm lizards is similar to that of other reptiles and is very different from that of an earthworm. Unlike earthworms, worm lizards and other amphisbaenians have a backbone and lungs, for example, as well as a more advanced heart, brain, and nervous system. They also have teeth inside their mouth. The right lung is reduced in size or even absent to accommodate the narrow, elongated shape of the body. In legless lizards and snakes, the left lung is reduced in size instead of the right lung. Worm lizards are sometimes known as two-headed snakes—just like the mythical amphisbaenia from Ancient Greece—because their head and their tail look quite similar. Amphisbaena fuliginosa is also known as the black and white or the speckled worm lizard. It lives in the rain forests of South America and the Caribbean. Like other worm lizards, it's a fossorial species. This means that its body is adapted for digging and travelling underground. It has poor vision but is able to detect chemicals and vibrations. The reptile is a nocturnal animal. It catches its prey underground and also visits the surface to hunt. It has a carnivorous diet and feeds chiefly on insects, spiders, and centipedes. It comes to the surface during daylight hours only if it's disturbed in some way, such as by rain filling its burrow or the land being ploughed. The animal reproduces by laying eggs and is therefore said to be oviparous. Fertilization is internal. Like snakes, lizards, and other amphisbaenians, the male has a pair of organs called hemipenes which insert sperm into the female's body. Although the word "hemipenes" is generally used in the plural, the structure actually consists of one trunk that splits into two upper lobes. The Iberian worm lizard lives in Portugal and Spain. There is considerable variation in the species, which has led some scientists to say that it should really be separated into two different species. Like other amphisbaenians, the Iberian worm lizard lives underground, builds burrows, and feeds mainly on insects and insect larvae. The animal is pink, brown, or blue in colour. The Iberian worm lizard has been studied in more depth than many other amphisbaenians. Researchers have discovered that this animal—and perhaps its relatives—can control its temperature by changing its location underground. It moves into deeper and cooler soil when it gets too hot. On the other hand, it moves underneath rocks when it becomes too cold. A worm lizard's vision is very poor. The eyes can detect differences in light intensity but not images. The animal has a very good ability to detect the presence of certain chemicals, however. Like snakes and true lizards, a worm lizard picks up chemicals from the air with its flicking tongue and then deposits them in ducts in the roof of its mouth. These ducts lead to the vomeronasal organ in the head, which detects the chemicals. Iberian worm lizards can tell the difference between prey and non-prey animals by the different chemicals released by the animals. 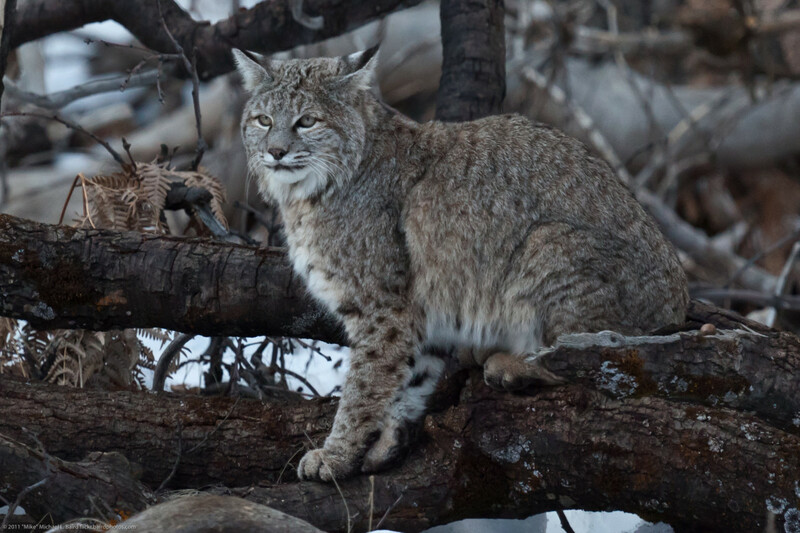 They also seem to be able to differentiate between predators and non-predators by the chemicals that are released. 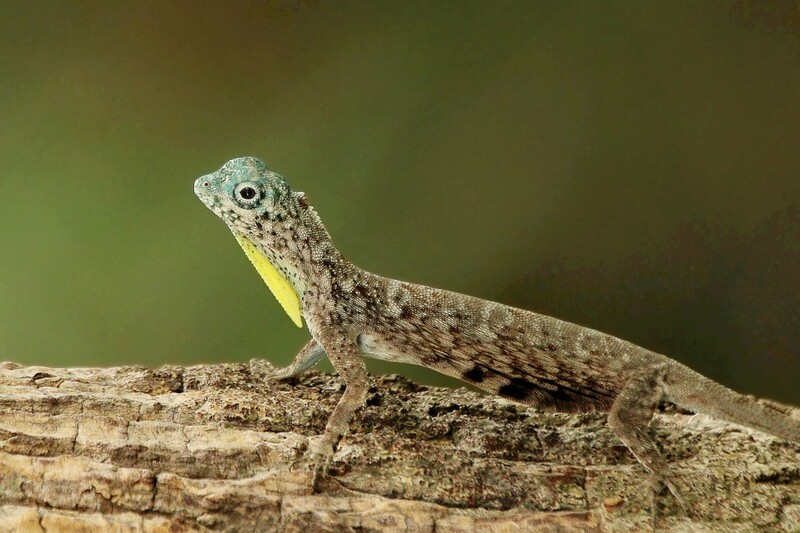 Male and female worm lizards secrete and detect pheromones, which are chemicals that attract the opposite gender and play an important role in mating. Specimens occasionally come above the surface after heavy rains inundate their relatively shallow tunnels. Gardening practices such as plowing also bring them to the surface. Although there are no wild mole lizards living in North America, there is one worm lizard on the continent. It lives in Florida and is appropriately called the Florida worm lizard. Little is known about the biology of this animal. 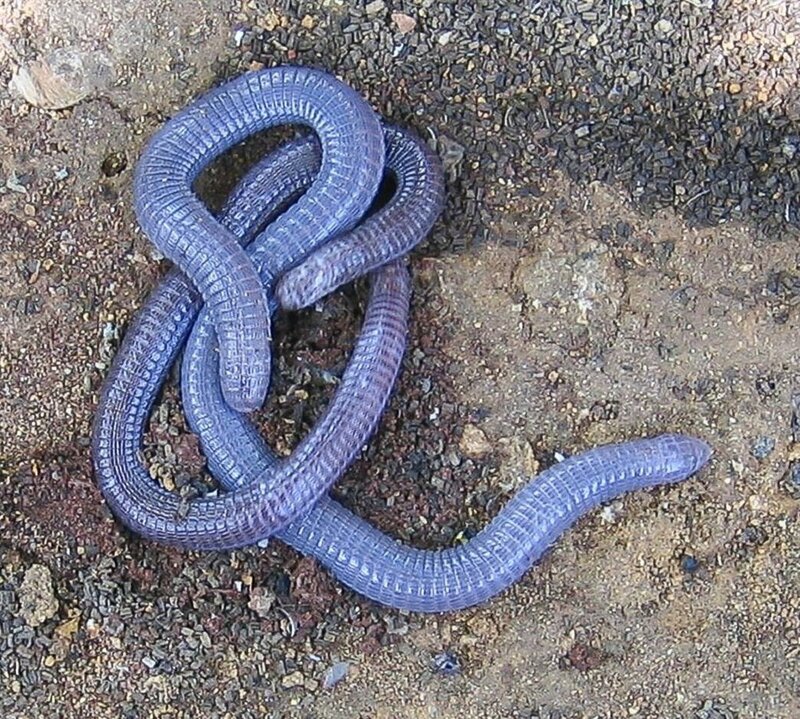 Like its relatives, the Florida worm lizard spends most of its time underground. Scientists believe that it feeds on insects. It's thought to lay one to three eggs, which hatch after two to three months of development. The mouth of the Florida worm lizard looks as though it has an overbite. The lower jaw is recessed, which helps to stop sand from entering its mouth. As in many other amphisbaenians, its skin looks too big for its body and is only loosely attached to it. Amphisbaenians are fascinating and somewhat bizarre animals. 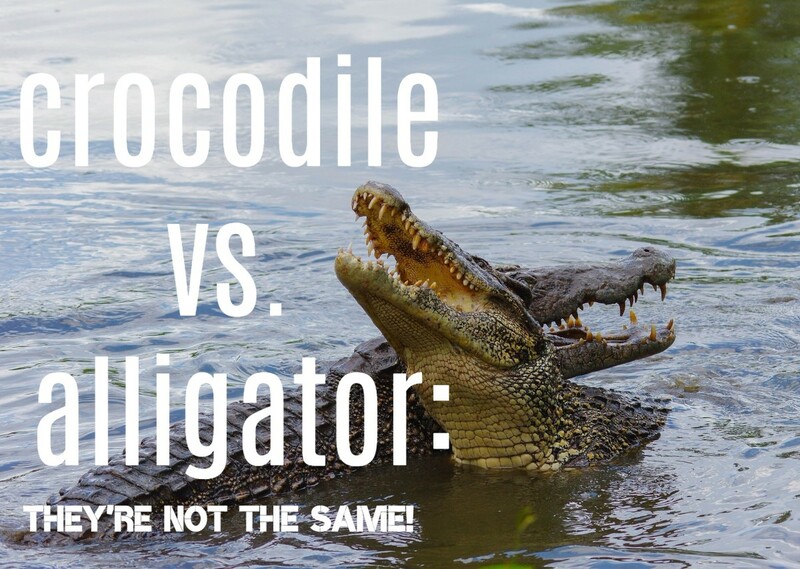 There is a great deal that still needs to be learned about them, including many aspects of their behaviour, their evolutionary relationship with other reptiles, and their population size. There are said to be anywhere from 169 to 190 species of amphisbaenians in existence today, depending on the classification system that's being used. There may be still more types to discover. The population size of only a few species has been assessed. They aren't in any trouble, but this might not be true for all species. Hopefully, more information about the different amphisbaenians will be obtained soon. 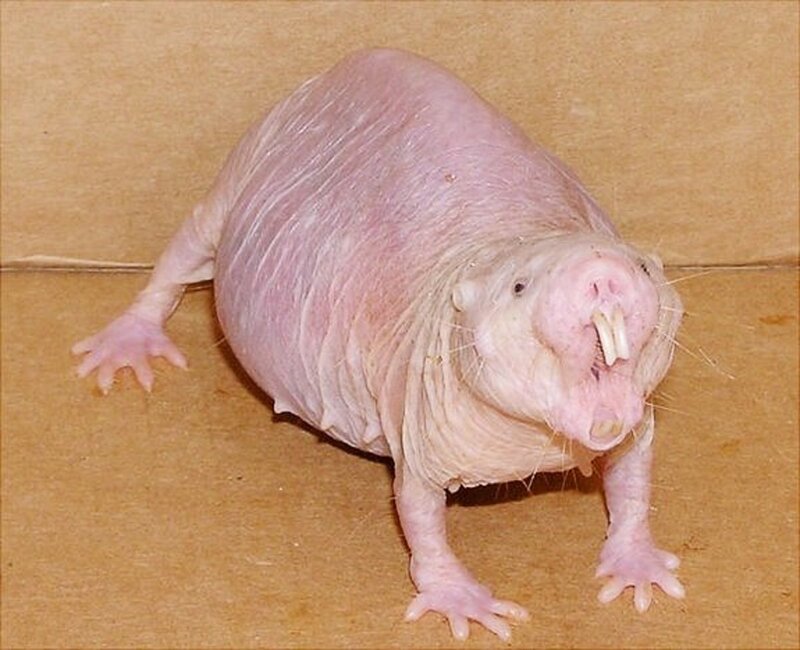 They are strange animals that are definitely worth studying. The wormlizard.org website contains information about both mole and worm lizards and is run by Carl J. Franklin, a scientist who studies the animals. The website of University College London has facts about amphisbaeníans. 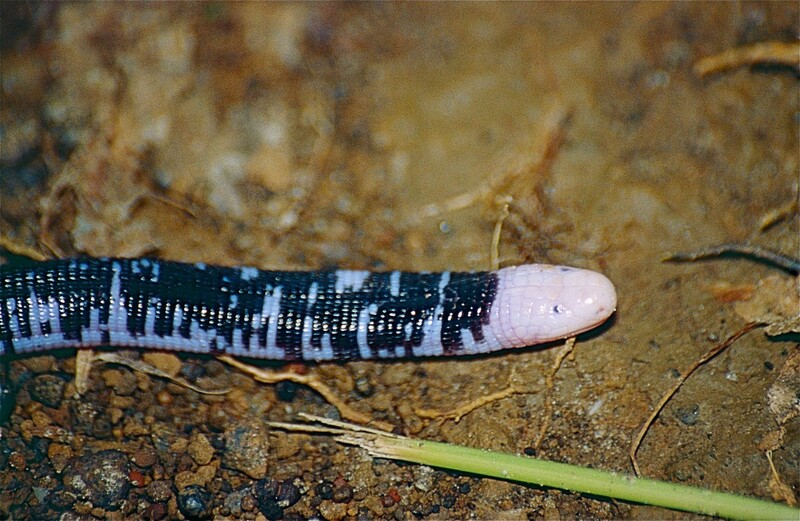 The University of the West Indies describes the black and white worm lizard. Morphology of the hemipenes of amphisbaenia is described in a free abstract from ResearchGate. Hi, Alun. They certainly are curious animals! I find them appealing, too. Thanks for commenting. Thank you very much for the comment, peachpurple. The lizards do look like worms! They are interesting creatures. It certainly can, Pawpawwrites! Thank you for the visit and comment. What an amazing group of reptiles. Nature can blow your mind sometimes. Thank you, Peggy! I hope you have a wonderful day. I knew nothing about these creatures, so thanks for the education Alicia. Happy Valentine's Day! Thank you for the visit, Georgene. I appreciate your comment. I used the picture and video formats provided by HubPages in this hub. The screen looks fine for me. It's interesting to hear that it doesn't look right to you. An interesting and well-written Hub Page. Photos and videos add a great deal. Unfortunately some of your visual bleed over the margins and under ads etc. in right-hand column. You have done it again, come up with animals that I have never heard about. You give me such an education in the field. Thanks so much. Thank you, Joyfulcrown. I'm glad that the article intrigued you, especially considering the way that you feel about worms and lizards! Worms and lizards normally make me very squeamish. But your article intrigued me. I agree, Mel - it is an intriguing situation. Thank you for the comment. An intriguing example of convergent evolution, it is amazing how this reptile has adapted to live in the soil. Thank you for the educational experience. Thanks for the visit and the comment, Genna. I agree - the animal in the introductory photo definitely doesn't look like a reptile! I’d never have guessed from the intro photo that this little fella was a reptile. Who knew? I never heard of this species before. Although I am still not fan of lizards and snake-like critters, I found your article well-researched and quite interesting. Hi, vespawoolf. It's nice to discover that someone else thinks that the Mexican mole lizard is cute! Thank you for the comment. What an interesting category of animals, the amphisbaenians. I´ve seen very little information about them before. I would especially like to see a Mexican mole lizard since they´re cute--probably because they look so tiny and defenseless. Thank you for sharing the information and photos. Thank you very much for the comment, Blossom. Thank you for such an interesting article about these creatures. Enjoyed reading. Hi, Bill. Thanks for visiting and commenting. I think that the mole and worm lizards are fascinating creatures, too! Hi Linda. How interesting. I had never heard of the Mole and Worm Lizard. Fascinating creatures. Thanks for the education. Thank you for the comment, Dora. I agree - these animals are definitely weird and interesting! Your article reminds me of years ago when my son would share his excitement about this kind of stuff. Weird and interesting seems like the best description for these creatures you describe. Thanks for researching and sharing. I agree, ologsinquito - I love the colour of that worm lizard. Thank you very much for the comment. Hi, Flourish. Thank you so much for the kind comment, the shares and the vote! Amphisbaenians could be considered creepy, but I think they're also very interesting animals. Very interesting. The purplish one in your first picture is actually kind of pretty. Definitely unusual! I loved learning about these strange creatures. A bit creepy, yes, but I don't think I will personally come across them, so I think I am safe. Great hub! You have some of the most interesting topics! Pinning and sharing, voting up and more. Hi, Jo. Thank you for the visit and the comment, especially since reptiles aren't your favourite type of animal! I like reptiles, although I wouldn't like to get too near to the dangerous ones. Alicia, interesting and as always detailed and very well done. 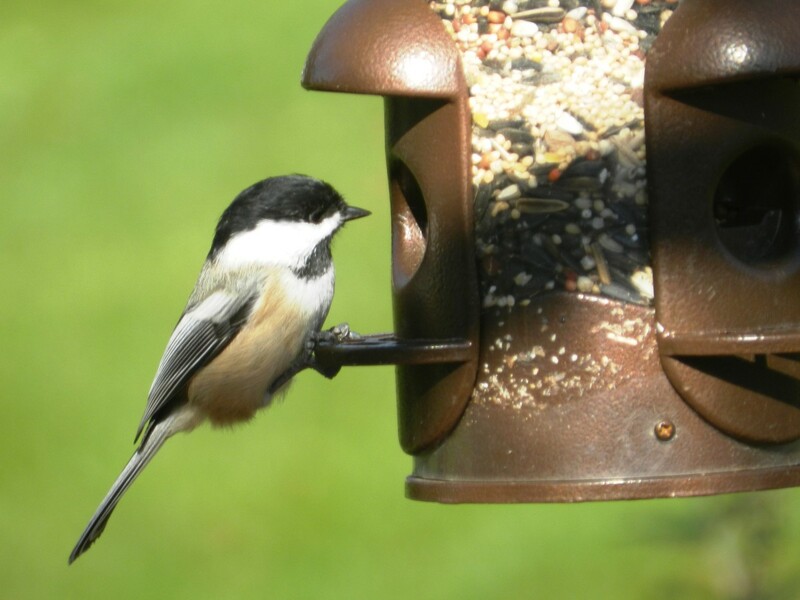 I have to admit I didn't linger for too long on the images, I can just about cope with my little friends in the garden, but great information. Thank you for the comment, Devika. I appreciate the vote, too. A very interesting topic. Reptiles are fascinating creatures. Voted up. Thank you very much for the visit and for being the first commenter, Bill! Fascinating! I had no idea. Never heard of them. Thank you for some great information.